Nollywood actress, Sugar Chika Thompson, has been enjoying a nice blissful home since getting married to her hubby several months back and not only that, she is also blessed with a cute baby boy. 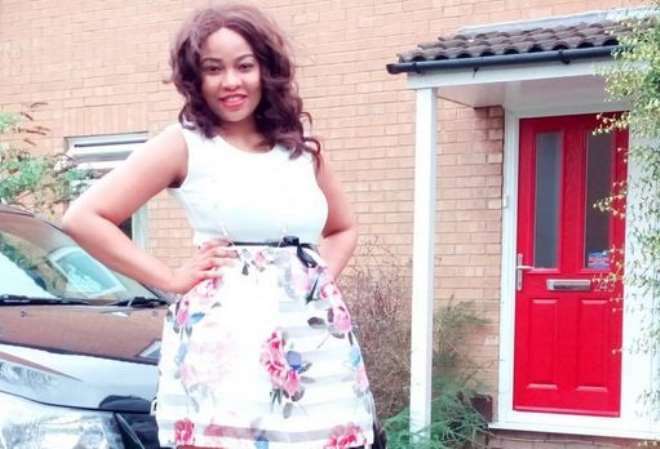 The actress has really achieved a lot in a short time as she also concluded her academics some months back abroad and now she is living her dream. It’s good to marry your best friend though because since her marriage, she has relocated with her hubby and she is doing fine. Of recent, the actress welcomed a new toy into her garage and that is a brand new Toyota salon car all thanks to hubby who is ensuring that she is happy and comfortable with baby all the time.